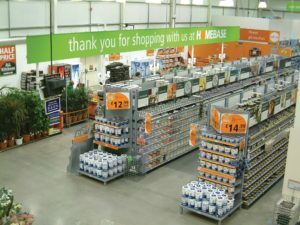 Contact Homebase customer services by dialling their UK phone number 0345 077 8888 for technical support when placing an online order, for instance to confirm whether a payment has been accepted. Once you have placed an order for new furniture, garden plants or power tools you can call this helpline to track your order. Alternatively if you would rather visit your local store you can call this helpline to get directions and opening times for your nearest outlet. Likewise if you would like full details about their upcoming promotions you can call this helpline for their sales dates. Furthermore you can phone their customer care staff to book an appointment to commission a new fitted kitchen or bathroom. Their specialist team of designers will supply you with a quote and options to finance your new room. Finally please call this helpline for further information about the process Homebase are undertaking to rebrand their stores as Bunnings Warehouse following the takeover by Wesfarmers in 2016. Calling Homebase customer services will cost the same as phoning local area code numbers which start with 01 and 02 prefixes as they are charged at identical rates. Typically these charges consist of a per-minute rate as well as an access charge used to connect the call. However you can contact Homebase for free if you have inclusive minutes remaining on your balance or you have a free calls bundle on your landline contract as these can be used to call UK numbers starting with 03 prefixes. Lines are open from 7am-8pm Monday-Thursday, 7am-9pm Friday, 8am-8pm Saturday and 9am-6pm Sunday however these opening hours are likely to be reduced on UK bank holidays. 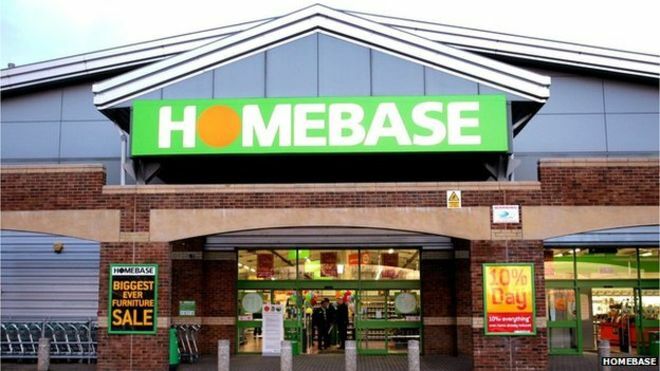 Homebase have various postal and email addresses if it is more convenient for you to send your general enquiries to their customer care staff in writing. They also have public profiles on several social media websites where you can find details about their upcoming sales and request support with a faulty furniture item. Written enquiries about your Homebase furniture and fitted kitchens can be sent to their customer service office located at the following Milton Keynes address. Please note it may take up to a week for them to respond to your letters and note that they do not accept cheque payments to this office. Homebase maintains a strong presence on social media to promote their furniture, DIY products and fitted kitchen designs. In return customers can use several of these profiles to send public messages to Homebase staff regarding a problem with an order, however please remember that you should not include any sensitive payment details in your enquiries.